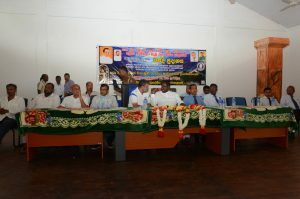 It is proposed to construct a dam across Yan Oya at Pangurugaswewa in Trincomalee district. It is located upstream of existing Yan Oya anicut. 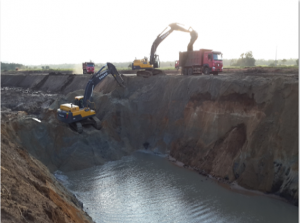 The project envisages constructing about 2.35 km long main earthen dam and 3.59 km long saddle dams and 34km long canal system in LB and RB to irrigate 5696 ha of lands in Anuradhapura and Trincomalee Districts. This includes 2200 ha of existing lands under Padaviya scheme where severe water deficit specially during Yala. This will also provide water to 140 ha existing lands under Wahalkada scheme and 100 ha new land along LB canal and existing lands under Yan Oya anicut (750 ha) and minor schemes in Meeoya basin (1735 ha) in Trincomalee District. Physical progress has achieved for a major component of the project at the end of July 2016 as follows. Main dam – 78% completed earth work. Saddle dam 1 – 80% completed including concrete spillway. Saddle dam 2 – 76% completed earth work. Saddle dam 3 – 27% completed earth work. 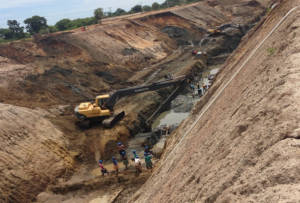 Saddle dam 4 – 47% completed earth work. Steel gates for spillway 50% manufactured. Intake canal LB & RB 20% & 67% completed respectively. Land acquisition is in progress for LB canal. Construction works of RB canal are ready to be commenced. Allocation for the year 2016 is Rs. 5500 million and cumulative expenditure up to the end of July 2016 is Rs. 13,598.45 Mn. Overall Physical progress was 45% at the end of July.